I see some kind of technologic machine mostly obscured in the Milky Way... some kind of vessel with right angles and straight lines that is barely visible. Do you see it also? Incredible shot. Superb what amazing sight to see!! 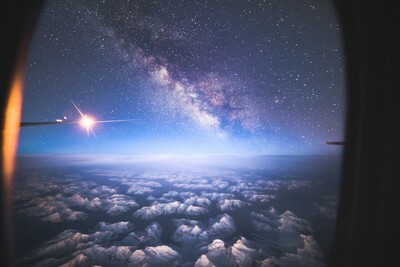 Flying over Alaska, Milky Way tracking across the sky.